We are a food loving family, and when we all get together over the holidays we spend a lot of time together in the kitchen preparing meals, as well as at the table savoring the delicious meals we have prepared together. 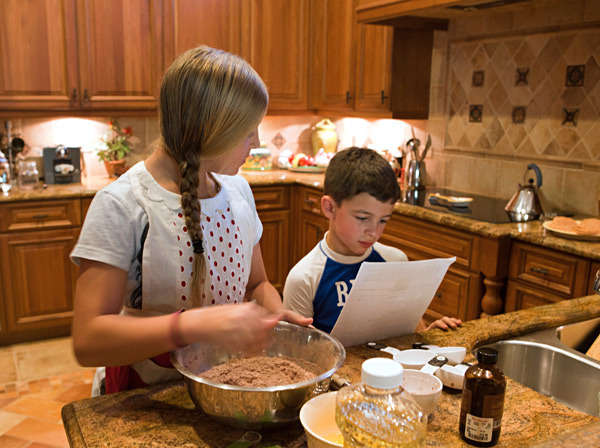 I truly believe that it is important to encourage young children to get involved in the kitchen, and feel that children will be more willing to try new foods when they are involved in preparing them. 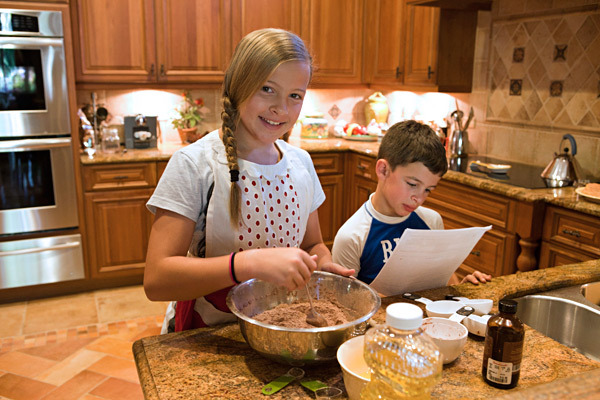 My granddaughter Sarah constantly requests to help out in the kitchen, and at almost 12 years old has become a very good helper. 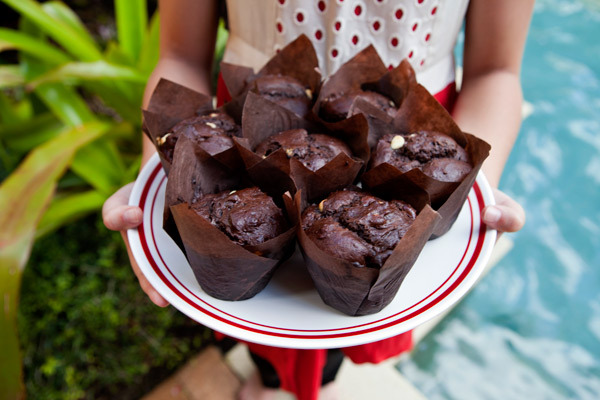 I always try and find a few easy recipes for Sarah to tackle on her own like these tasty chocolate muffins studded with white chocolate chips. I used coconut palm sugar as the sweetener and replaced the white flour with light spelt flour to improve the nutritional profile. Chobani vanilla yogurt was added to ensure that these muffins remained very moist, and light olive oil replaced the butter. I had a bag of white chocolate chips leftover from my holiday baking, so I used these, but regular chocolate chips can be used if you prefer. 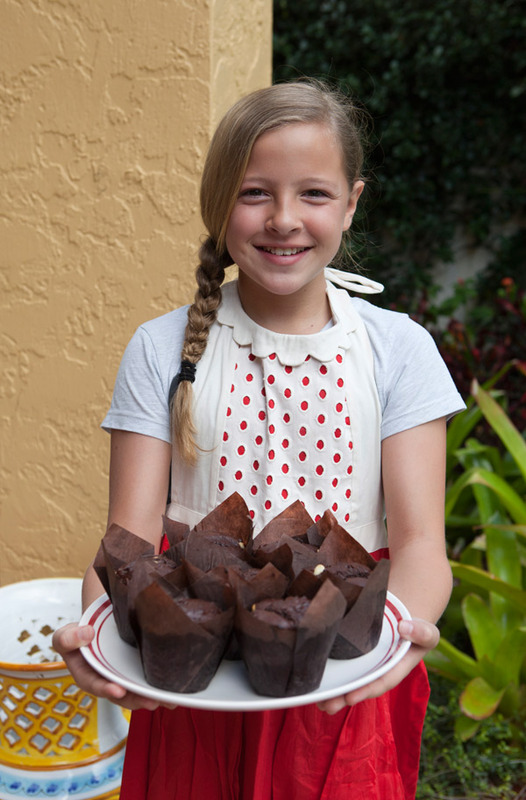 Sarah thoroughly enjoyed making these muffins with the help of her little brother Matthew, and the entire family enjoyed the final product. 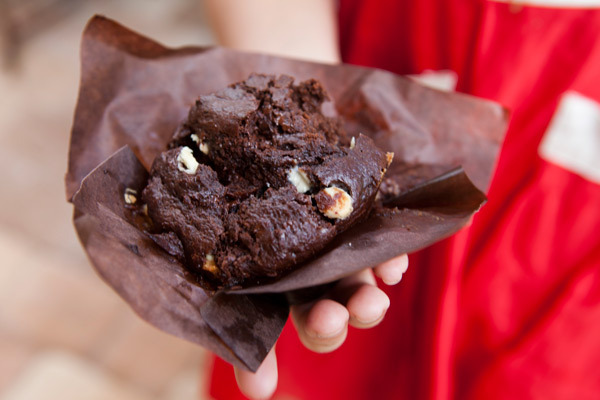 When it comes to healthy baking, I have been substituting yogurt for some, if not all of the oil in recipe for years. 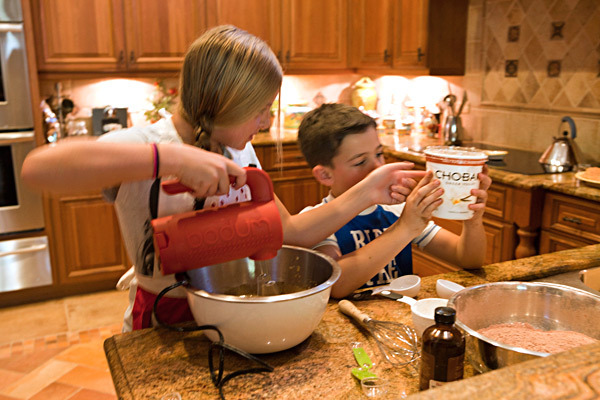 We always have Greek yogurt in our refrigerator, and Chobani is one of our favorite brands. I also substitute plain yogurt for sour cream as a healthier alternative in all my recipes and no one ever notices the difference. One of my favorite snacks I incorporate into my healthy lifestyle is the Chobani Simply 100 individual yogurt cups. They are absolutely delicious! Yogurt is a good source of calcium and protein. Spelt flour adds whole grain nutrition to baked goods. 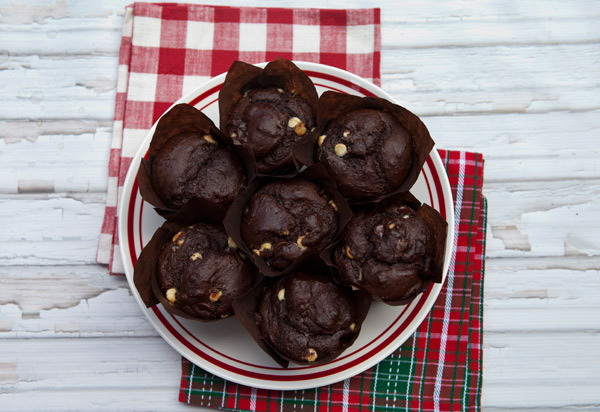 Place muffin liners in a 12 cup muffin pan. 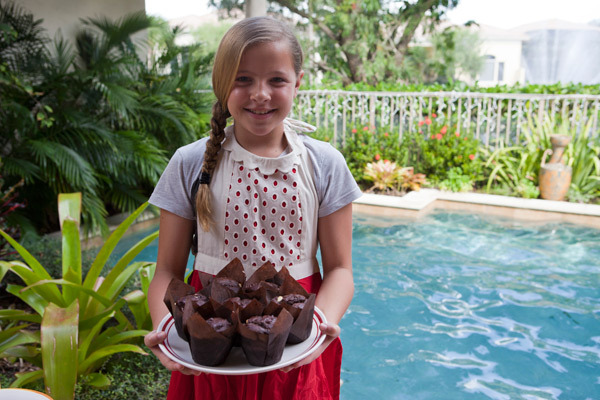 In one bowl, whisk together the flour, cocoa, baking powder, baking soda and salt. In another bowl, using an electric hand mixer beat the eggs on medium speed until blended. Add the oil, yogurt, and vanilla and beat until smooth. Add the dry ingredients into the bowl with the wet ingredients and beat on low speed just until combined. Spoon the batter into the muffin cups, and then bake for about 18 minutes, or until a cake tester inserted into the center comes out clean.